Little Bird Pediatric Dentistry represents Dr. Alison Sigal’s vision of pediatric health care, pioneering a one-of-a-kind community based clinic that focuses on optimizing the growth, development and function of all children from birth onwards, and caring for persons with special needs of all ages. Drs. Alison Sigal and her father Michael Sigal are both pediatric dentists with additional training that includes orofacial myofunctional therapy (OMT) and Buteyko breathing. Having learned and collaborated with pediatric health care experts from around the world, a new comprehensive assessment and approach was born. 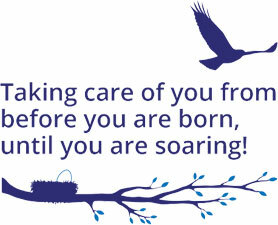 Together, with our Little Bird team, this care will be provided to your loved ones from birth onwards.